Fun, interesting and compelling easy readers for Spanish learners. Relax and listen to a great story in Spanish, and improver your Spanish without effort! Popular Spanish audio book for real beginners. Ana doesn't like her life because she has many problems with her family. Will living in Mexico solve her problems, or not? Order online! 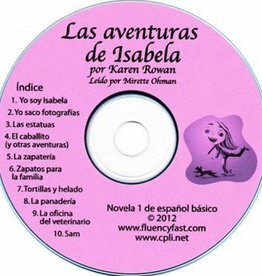 Fun Spanish audio book for intermediate students. What can go wrong when you go to a bull fight with your handsome holiday boyfriend? Listen to this story to find out! 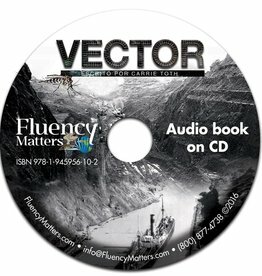 Spanish audio book for intermediate students. Improve your Spanish listening skills while enjoying this captivating story about two boys who are stuck on an island. Engaging Spanish audio book for beginners. Easy to understand and full of action, rivalry and adventure, this story is a great and joyful way to immerse yourself in Spanish. Engaging Spanish audio book for A1/A2. Read at an easy pace by a native speaker. Read the book while you listen and your Spanish improves spectacularly! Spanish audio book for beginners, read by a native speaker in a calm, comprehensible manner. This audio book is in past tense.